Between rent, car notes, and cell phone bills, it feels like our paychecks are gone before we even get them. Sometimes you have to spoil yourself on nice things like a stiff drink, a cold beer, or a good bite. Luckily, Austin has some great places to spoil yourself without breaking the bank during happy hour. 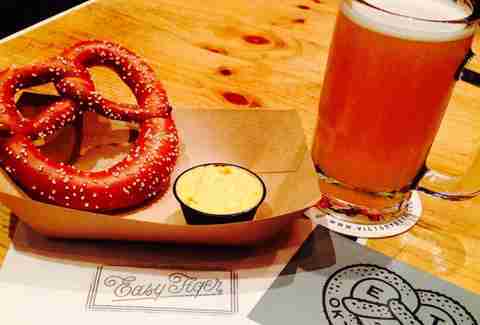 We have 10 spots you have to check out where you can snag some happy hour bites for under $5. Bar Chi will make you feel slipped into some lounge in New York, but this sushi spot is right in downtown Austin. 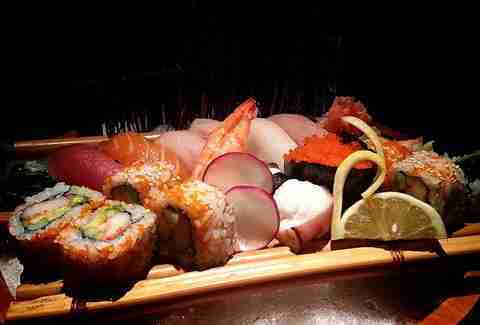 With a killer menu of fresh sushi, a meal like that can rack up your bank account rather quick. Thankfully, during happy hour they have a big list of food and drinks for under $5 like Gyoza, Tampura chicken wings and even sushi for under $2. If you work the late shift, no worries because Bar Chi features reverse happy hours on Thursdays from 10pm-12am and till 1am on Friday and Saturdays. Benji’s is known for having some expensive dishes including $45 Premium Gold Angus fajitas but happy hour is for those of us that want to try some good food without spending our whole paycheck. 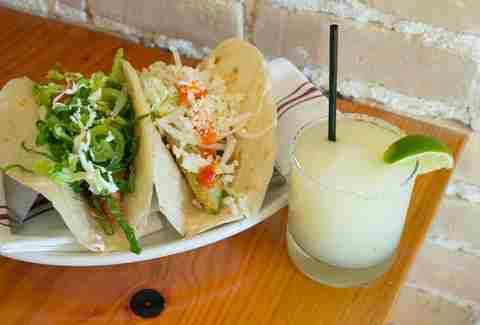 Benji’s features a $4 happy hour where they have a selection of tacos, shareable plates, and drinks. The best bang for your buck is their tender Carnitas or Market Fish tacos, for just another $4 you can get a great Paloma or frozen Margarita to wash it down. If you are from Austin then you most already know that Chuy’s is probably the best place for happy hour. Not only are the beers cheap and the margaritas strong but they feature a free nacho bar with unlimited chips, salsa, queso, and it even includes taco meat. 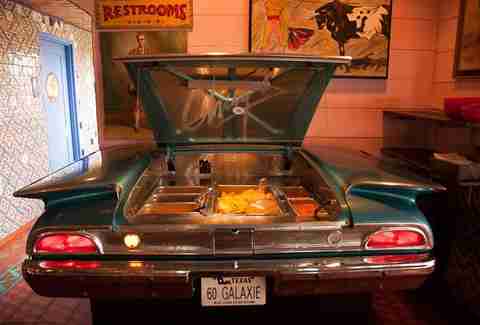 Just as a bonus, the nachos are served out of the trunk of classic car. Easy Tiger is like two great places in one. They have a bakeshop upstairs featuring great coffee and fresh breads and pastries, while downstairs they have their den of house made sausages and stellar beer garden. 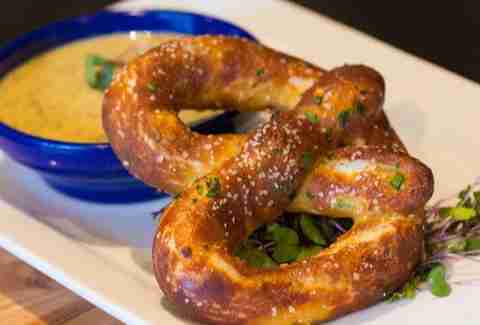 During happy hour you can get local draft beer for a few bucks but don’t forget the perfect complement of a pretzel with their beer cheese for only $4. That should make your happy hour even happier. Life can be confusing sometimes, and when it comes to happy hour we want to turn our brains off for a while. Licha’s Cantina keeps things simple with their $5 happy hour where they have a list of food and cocktails for only five bucks. A personal recommendation is the Sopecito de Cochinita Pibil (black bean layered masa cups topped with achiote braised pork). 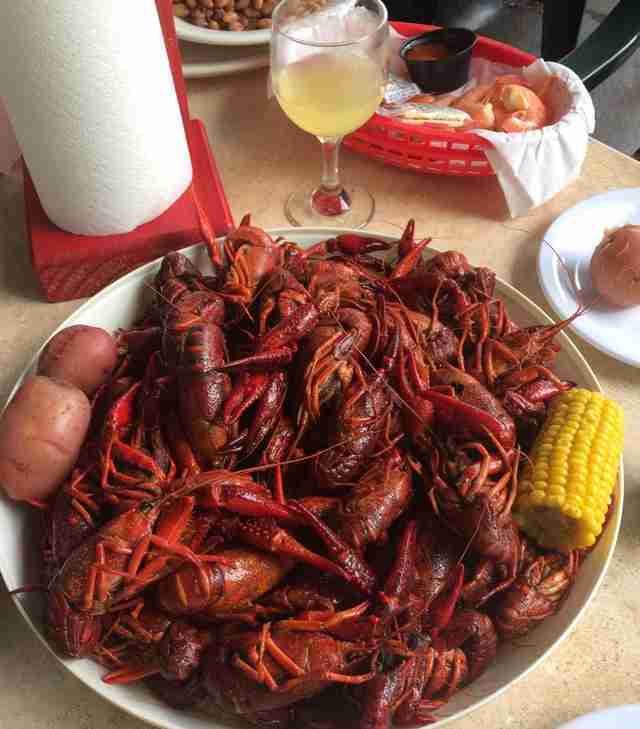 My mouth is watering just thinking of happy hour! If you love craft beer then you probably know about Hi Hat but this rather hidden bar located below an Apartment complex in east Austin is a great place to check out. Their beer line up is usually full of great beers that they keep rotating and the food is pretty damn good, too. During happy hour they have half-off pretzels and tostadas which bring them well below the $5 mark but they have tacos daily for only $3.75. 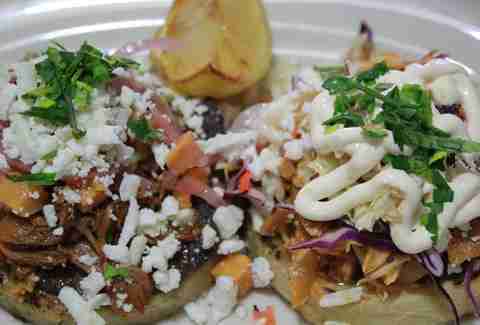 The Peached Tortilla started out as a food truck serving to all those late night bar hoppers but now that they have a brick and mortar location it is a great spot to hit for happy hour or social hour as they like it call it. For $5 or less you can get some snacks like Kimchi Arancini Balls or Charred Brussels but I always go for their tacos. 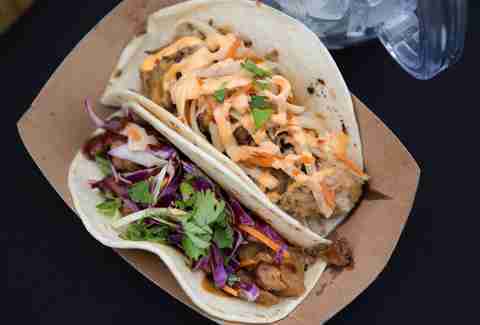 You can choose from Kalua Pork or Chinese BBQ Pork which is the most delicious fusion of Asian and Mexican flavors. The view of the Greenbelt from Red’s Porch is almost enough to make you forget about your worries, throw in some great happy hour specials and things get even better. They have cheap canned beers for only a couple bucks and plenty of snacks for under $5 like Boudin Balls which are a personal favorite, their hearty Frito Pie or the classic Red’s Queso. Where Austin lacks in Cajun culture, Shoal Creek Saloon makes up. This is the place to be during football season if you’re a Saints fan or just have a local for Cajun food. Happy Hour will add a little spice to your life with their boudin or stuffed jalapeños which are both under $5. Grab an Abita to wash it down and pretend you’re in the Big Easy. Salty Sow is one of those places you have to admire with their snout-to-tail approach to food. They are definitely a place to enjoy when you have expendable income but for happy hour you can fit in with their selection on drinks and dishes. 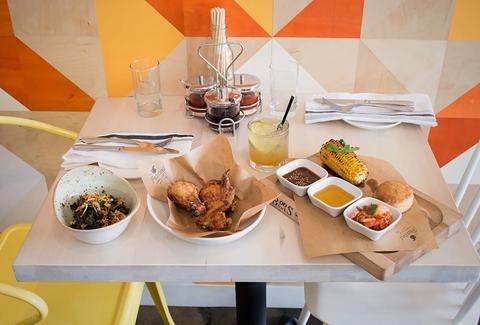 The duck fat fries or truffled deviled eggs will do you right but to experience their dedication to meat, the milk braised carnitas tacos or the pork belly tacos for $5 will take your happy hour to another level. Mike Cortez is an avid writer and photographer in Austin as well as the author for the book “Beer Lover’s Texas.” He loves craft beer, good whiskey and great food. Check him out on Twitter @TexasBeerGuide and share in his love for beer.